Hughes provides onsite asset inventories combined with the cloud based CAPEX budget forecasting solution CAPEXGOLF. Hughes specializes in large scale golf and country club facilities. 10779 East Whispering Wind Dr. 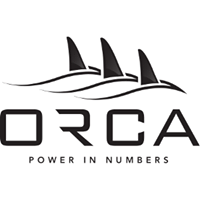 The ORCA Report is to be the trusted data provider for golf course owners and operators, providing them with accurate numbers which help bring clarity to the relationship with their golfers, technology/marketing partners and competitors.